I would like to share with you about a hair product that my hair stylist recently told me about! It is SUPER INEXPENSIVE! You can find it at your local Walmart. It costs a little less than two dollars. I, like most women, love to get my hair done. I like to experiment with different colors, but with that, comes DAMAGE! 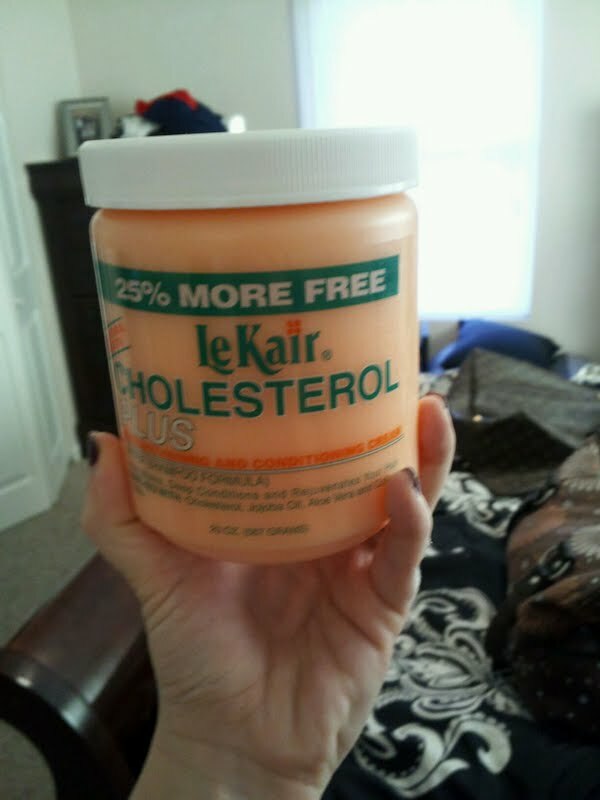 A couple of months a go, my hair stylist, Lydia, told me about this product called Cholesterol. I recently started going to her. Normally, when I would get my hair done before, my stylist would try to sell me products that they sold in the store, which can be a little pricey. I was shocked when my new stylist told me about a product that was not sold in her store and was so inexpensive. She told me how she uses it and how amazing it is. After I left that appointment, I went and picked me up a jar. I have been using it for about two months now, and I LOVE IT! It has made my hair stronger and shinier. I thought that I would share the love with you today! I encourage you to try it, you won't be disappointed. Cholesterol is basically fat, which is pretty gross. However, it does wonders. I use it about twice a week. After you shampoo your hair, apply cholesterol and let it sit for about 5 minutes, then rinse. I could tell a difference after the first time using it. Below is a picture, so you will know what to look for. I have only looked at Walmart, but I am sure that other stores sell it. If you have any questions, just ask!